The available position is to replace an employee on unpaid leave for 1 year. Please note that this is not a tenure-track position - if the employee chooses to return after the year, the University will not renew your contract. Our semester start date for English classes is March 10, 2014 so we are looking for a qualified teacher preferably already in Mexico or outside of Mexico but with current legal immigration status to work in Mexico. University position with attractive benefits in rural southern Mexico. Teachers teach 3-5 classes daily and have the opportunity to contribute to other areas of the faculty and the local community. Qualifications: Native-English speakers only. Successful applicants will have a B.A. + CELTA/TEFL Certification or an M.A. in a relevant field and classroom teaching experience. A Bachelor’s degree is a minimum requirement for teaching at the university level in Mexico, so we cannot consider applicants who do not have a Bachelor´s degree. Specific TESL/TEFL training is also a requirement of the university’s Academic Council. Spanish ability is not required, but makes life easier. Location: University/college campus in Huajuapan de Leon, a city of about 80,000 people situated in the beautiful state of Oaxaca. Wage: Approximately $11,000 – 13,500 MXN per month NET, depending on credentials, which is a very competitive local salary. For more information about the University, visit us at: http://www.utm.mx or check out our Facebook page. Please note that all travel to the university, housing expenses and visa fees have to be paid for by the teacher. The university does not pay for travel expenses, housing or visa applications (initial or renewals). 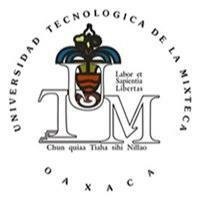 How to Apply: Email your resume and cover letter to Jonathan Dolan at jonathan@mixteco.utm.mx as soon as possible.